Open floor plan with great water views. Home feels much larger than square footage indicates. Costly updates of landscaping, impact double pane windows, new hot water tank, new water softner, AC system and all duct work replaced approx. 11 years ago, One car over sized garage has good storage space and yard access. Beautifully landscaped lot and yard gives a resort feel from inside this light and bright home. 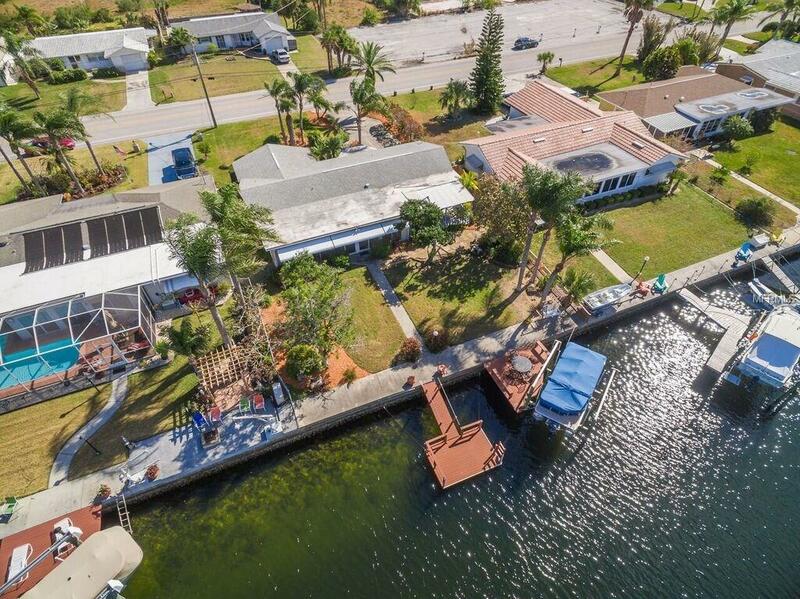 Wide canal has beautiful water views and privacy. Master bedroom and Guest bedroom have walk in closets. Additional large closet runs the length of the back hall. 3rd bedroom/den has beautiful water views, located off the Florida/family room area. Living room window bumps out with a window seat and looks onto the beautiful lush tropical landscaping - creates a nice buffer from the street. This home has been meticulously maintained. Must see the inside to appreciate the views and space.